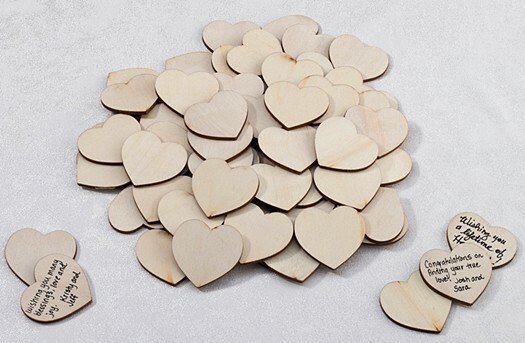 Prompt your guests to write down their best wishes and predictions at your rustic-themed wedding with these wooden signing hearts that you will cherish as a guest book alternative for years to come. 48 hearts are included in each package. A personalizable frame to hold the wooden signing hearts is available separately as Product Code: LR-GA564.